There’s not much you can do with your mouse that you can’t do faster with the right keyboard shortcut, but sometimes there simply isn’t one. 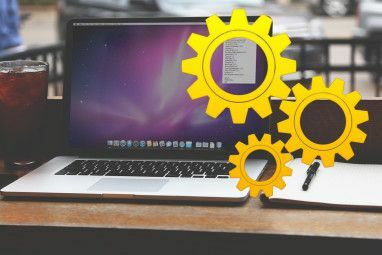 If there’s a shortcut-less menu item you use every day, here’s how you can assign it some keystrokes and get stuff done faster. I’ll walk you through this simple process while creating a keyboard shortcut for that thing bloggers use to cross out text strikethrough in my favourite Markdown editor Lightpaper Is A Free Tabbed Markdown Editor For Mac Lightpaper Is A Free Tabbed Markdown Editor For Mac Still using Microsoft Word to write for the web? You're doing it wrong. Read More . You can see the relevant keyboard shortcuts to the right of Strong, Emphasize and Underline – but Strikethrough is forgotten. Let’s fix that. Click the Shortcuts tab, then click App Shortcuts – the bottom option in the left pane. This will likely be empty for you – for me it includes some shortcuts I made so my Mac can read any text Your Mac Can Read Any Text To You, Here’s How Your Mac Can Read Any Text To You, Here’s How Whether you want to hear an article while you do something else or want another voice to read your writing back to you for proofreading purposes, OS X comes with everything you need. Read More . Go ahead and click the “+” button to create your keyboard shortcut. Pick the Application you’d like this shortcut to apply to – you also can pick All Applications, if you want. Type the exact name of the menu item in the “Menu Title” field. Finally, you need to pick your keyboard shortcut. Make sure the key combination you want isn’t already taken by opening your program and testing it out. If something happens, that shortcut is already assigned – if nothing happens and you hear a warning sound, the shortcut is available. You can now use your new keyboard shortcut, so give it a spin. If it doesn’t work, check again for duplicate shortcuts. It can be tricky: in my above example, “CMD S” seemed like an obvious choice – until I remembered that’s the shortcut for saving. Duh. Creating shortcuts is all well and good, but what could you actually use this for? Here are a few ideas. Your browser probably has a bookmarks menu – meaning you can create keyboard shortcuts for going straight to your favourite bookmarks. I couldn’t get this to work for Firefox, but Safari and Chrome worked perfectly. Create a “Turn On Shuffle” shortcut for iTunes, to trigger a mix instantly. Create a “Zoom” shortcut for All Applications – now you can make any window bigger, without using your mouse to click the green “+” button. I’m sure you guys can think of many more – let us know what keyboard shortcuts you’ve added in the comments below. Oh, and if you haven’t yet you should learn your keyboard shortcuts Learn Your Keyboard Shortcuts Using CheatSheet [Mac] Learn Your Keyboard Shortcuts Using CheatSheet [Mac] If you're growing tired of constantly moving your hand back and forth from your mouse or trackpad to the keyboard in order to launch or quit an application, pause iTunes playing, or copy or paste... Read More using CheatSheet. It’s an app that shows you a list of all the shortcuts offered in the menu for any Mac app. Enjoy! 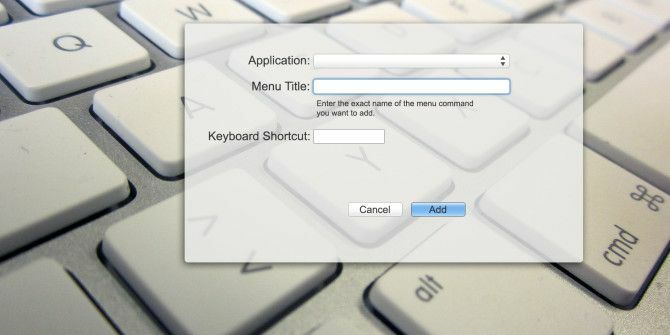 Explore more about: Keyboard, Mac Menu Bar. The hard part seems to be the "Type the exact name of the menu item in the “Menu Title” field." step... but there's not really much info here on how/what to type - any chance of an edit or follow up on what needs to be written here? I thought exactly the same. This is not well explained. What you write in the "Menu Title" field is what is written on that very button (not the dropdown menu's name) in the top menu bar (the one that starts with an ? and houses clock, battery etc to the right). For example, if you want to open the "About this mac" window with cmd+option+q, you write "About This Mac" (with capitalisation) in the "Menu Title" field. 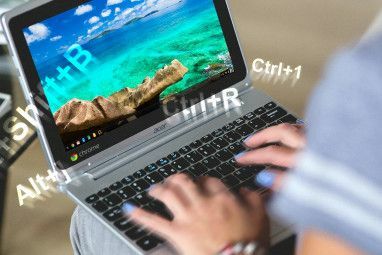 If you'd like to quit Chrome with ctrl+shift+q instead, you write in the field: "Quit Google Chrome" (you find the button under the dropdown menu named "Chrome" in bold).